On the verge of an apocalyptic global event, a clan of vampires lures a crowd of humans into a glamorous hotel in order to turn it into their own private blood farm. A rival family of vamps crashes the party and sparks a violent uprising, hoping to wipe their adversaries off the map for good. Manami (Tomite Ami) is targeted by vampires on her 22nd birthday and K (Kaho), who possesses tremendous power, tries to save her in a raging battle. On that day, young men and women are invited to Hotel Requiem where a huge nationwide matchmaking convention is being held by the mysterious Yamada (Mitsushima Shinnosuke). 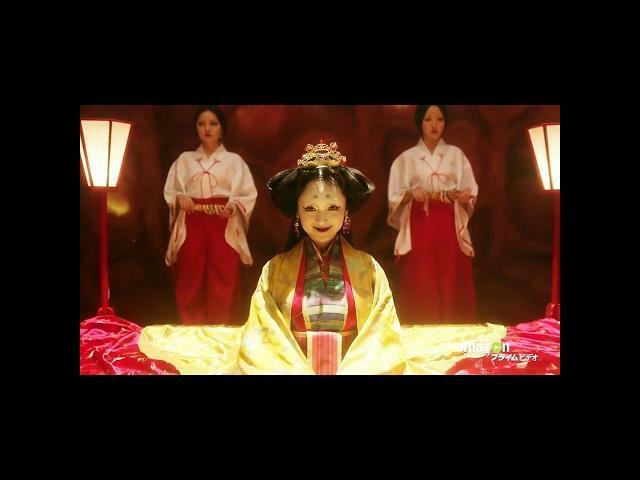 He lives and runs this ornately beautiful, palatial hotel with a bizarre empress (Adachi Yumi) and Elizabeth Báthory (Kagurazaka Megumi). Then Yamada suddenly declares to the gathered crowd that tomorrow will be the apocalypse and only the people inside this hotel will be saved.